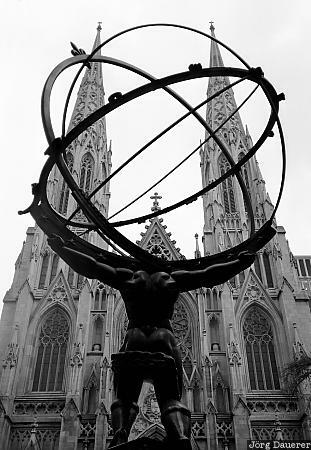 The bronze Atlas statue at Rockefeller Center in Manhattan and St. Patrick's Cathedral in the background. Manhattan is in New York City, New York in the east of the United States. This Photo was taken on an early November day in 1997.